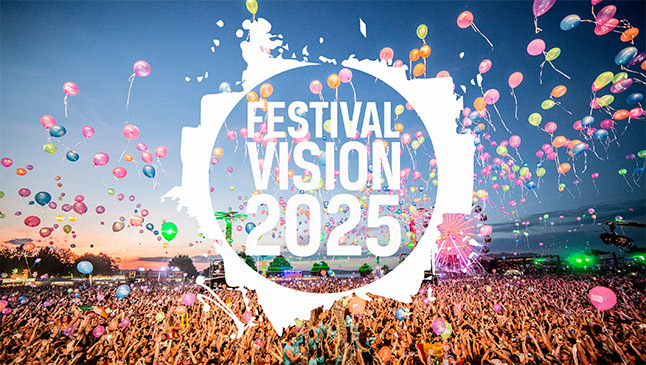 Festival Vision:2025 @ The Showman's Show! 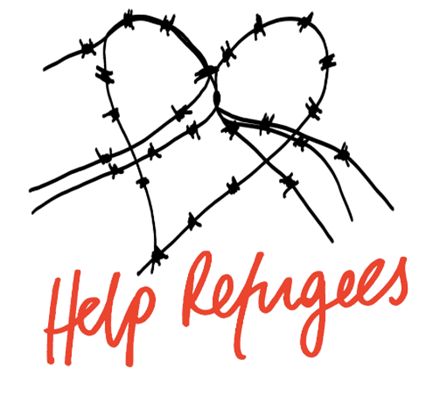 Can You Help Support Refugees in Calais? 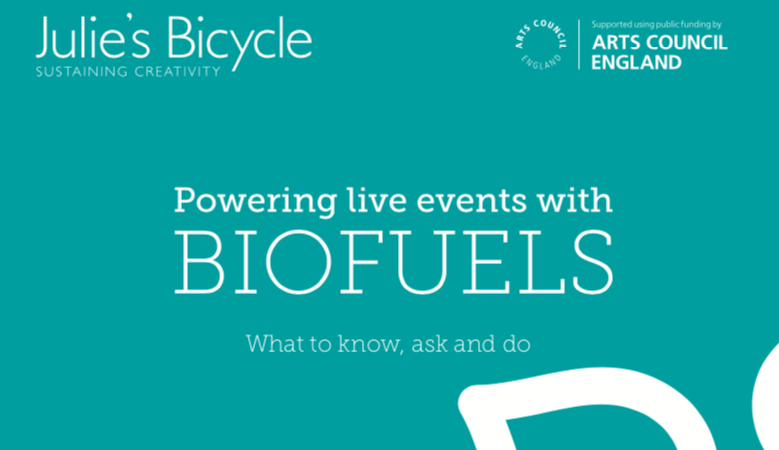 Responding to the complexity and confusion around which biofuels are good environmental choices, Julie's Bicycle and Powerful Thinking Steering Group members have created a comprehensive new guidance sheet to answer all your questions. After the success of the Festival Vision:2025 event in 2017, we have teamed up with the Showman's Show event organisers, Lance Publications, to offer another afternoon of talks, networking, presentations on key topics and innovations. 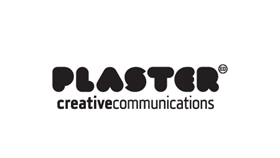 SAVE THE DATE: Wednesday 17th October, 1-5pm. Programme info coming soon. 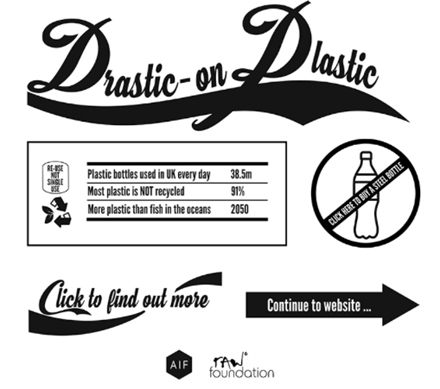 60 festivals joined the Association of Independent Festival's (AIF) 'Drastic on Plastic' campaign on Earth Day last month, with a pledge to eliminate single-use plastic by 2021. 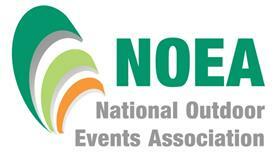 The AIF is working with other organisations to welcome events from across the industry. Join the campaign. 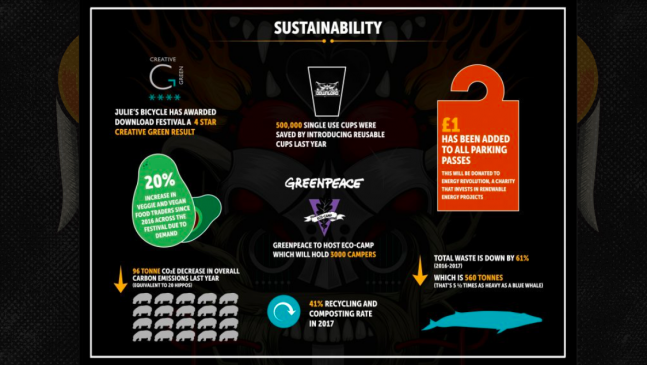 Last month Download Festival, a Vision:2025 festival, which last year received a 4-star Creative Green Certification from Julie’s Bicycle, announced the major improvements being made to this year’s festival to make it the greenest Download yet. To ensure 2018 is the most environmentally friendly year ever they’ve introduced carbon balancing by adding £1 to the cost of all car parking passes, which will be donated to the charity Energy Revolution, who balance festival travel by investing in renewable energy projects – alongside current travel initiatives with Big Green Coach, Liftshare and shuttle buses to encourage the reduction of traffic onsite. They’ve also introduced their first ever Eco Campsite with Greenpeace UK, increased the number of campsite recycling points and are continuing to ban single-use plastics (including cutlery, containers and straws) from traders stalls, as they have since 2016. Read the full list of sustainability achievements and goals on Download's website. 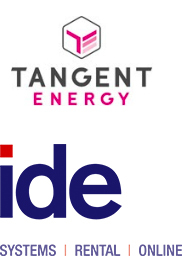 Welcome to the latest suppliers on Powerful Thinking's Sustainable Power Supplier List: Tangent Energy and ide Systems now have profiles showing event organisers what services they offer, the equipment they provide (including renewable power technology) and how they will work with clients to meet their fuel efficiency targets. The list has been created in response to the growing demand for power suppliers who can work with event clients to help them meet their goals around energy efficiency and fuel reduction. 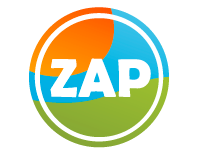 See the full list of Powerful Thinking Sustainable Power Supplier profiles HERE. The Help Refugees charity supports refugees across Europe, including thousands of people in Calais. Having a working mobile phone is invaluable to homeless refugees, and there is currently a need for a mobile charging solution able to charge around 50 phones at a time. Can you help by donating equipment? Ideally an easily mobile battery system with 400w inverter and 5kW hours capacity. We'd love to stay in touch with you and continue to share festival industry news and resources around event sustainability, however if you'd prefer to opt out of these emails from us, you can unsubscribe in the footer of this email at any time.